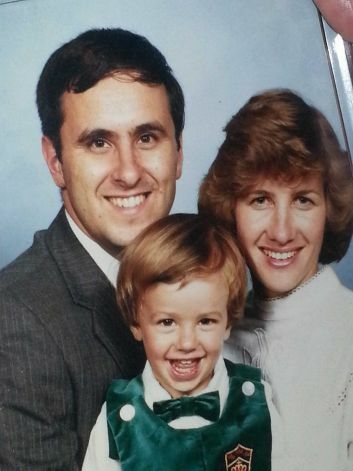 Maj Gen Harold Greene, pictured around 1990 with his wife, Susan, and son, Matthew. (Harold F. Greene). Unit: Combined Security Transition Command. LTC Harold Greene first entered many of our lives in 1998 when he became the PM ACS. He truly loved that job, and he especially enjoyed working with each and every member of the PM workforce. He often talked about the great PM team and the long hours that he and you all put in to meet the needs of the warfighter and provide the best products possible. He left PM ACS a much better place and touched the lives of all he worked with. Team PM ACS also touched and impacted MG Greene throughout his career. people in the PEO. In the short amount of time he served as the PEO he was able to profoundly impact the culture and re-energize the workforce. He did this through his willingness to work with people, provide them top cover, and truly care about the products and how they impacted the warfighter. stayed in touch with over the ten plus years since he was a Product Manager. He also made many new friends as PEO-IEW&S. and PM SAI. He was never too busy to send a note, send an email, call, or even get up at 0400 in Afghanistan to dial into a ceremony for a member of our team (right after he checked the Red Sox score). That's a class act! We were fortunate to work for MG Greene. We were even more fortunate to have him as a mentor, friend, and colleague. "MG Greene was a true servant leader, mentor, and friend. 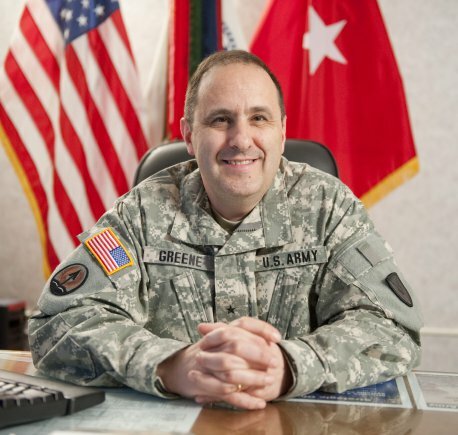 All of you who knew MG Greene -- his genuine caring and humility, his personal connection with the people around him, and his wisdom, humor and leadership -- should know that he had the same hugely positive impact here in Afghanistan with our military, civilians, contractors, and Afghan counterparts. He touched everyone here in that special way that we all know and love. Please honor his memory by continuing to do what you do every day to serve our soldiers and our Nation with selfless dedication."